For the second year running, Max Bird signs with Fenny Compton based Century Motorsport in the Ginetta GT5 Championship. 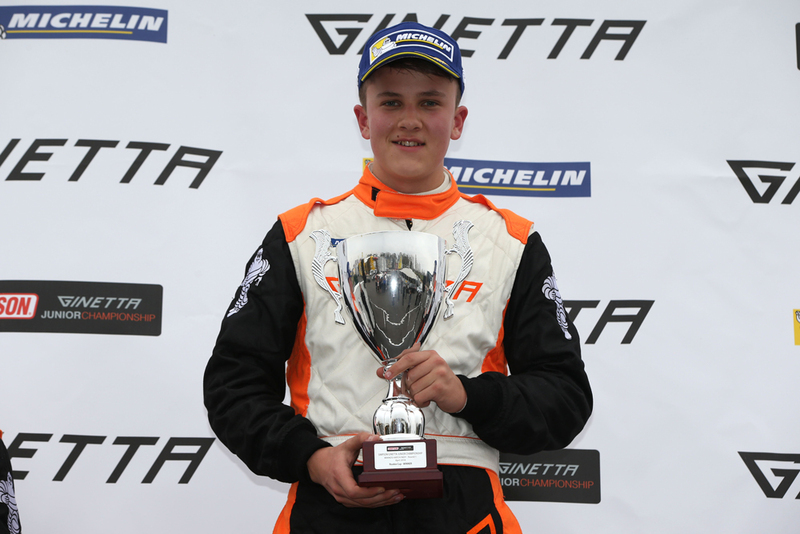 Bird, 17, had a successful season racing with Century in 2017, winning the season opener at Oulton Park and achieving pole position at the final round at Donington, netting a second and third that weekend. Ending the season fourth in the championship was an impressive achievement for his rookie season. Century are entering their third year in the championship with the sole aim to take the title and with it being Bird’s second year, it’s a very realistic goal. “It’s great to be working with Max again in 2018. We shared a lot of success in 2017 and the package we have for 2018 is a very strong one. Our aim is to win the championship and we believe that Max has the ability to do this. The GT5 championship is an important one to us, as we want to offer a ladder system through Century Motorsport progressing into either Ginetta Supercup or our GT programme, and GT5 is the start of it all.